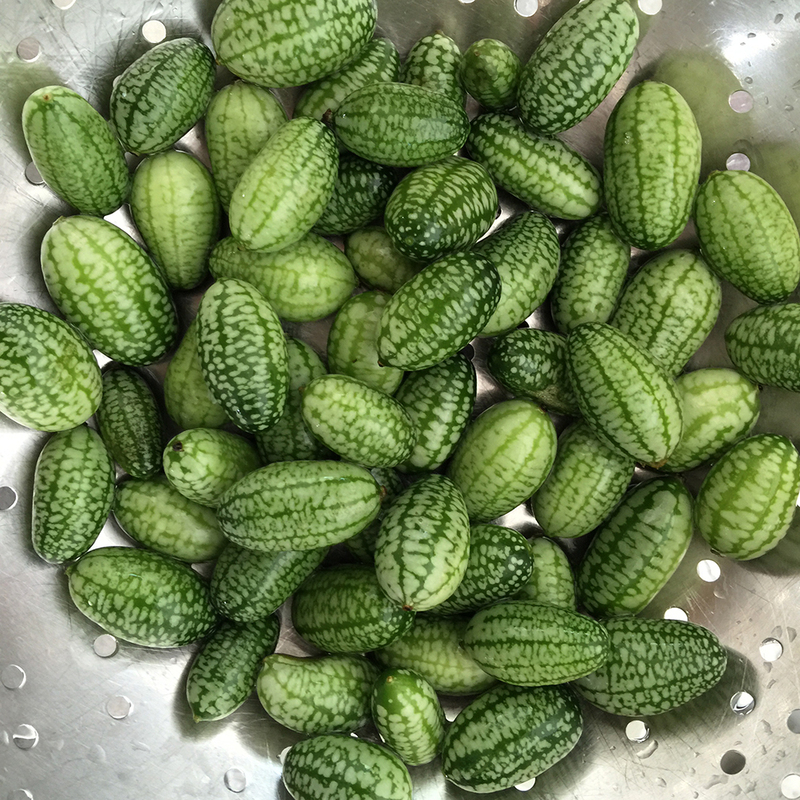 There is always a stack of extra fruit when you grow productive vines like Melothria scabra or ‘Mexican micro cucumbers’. 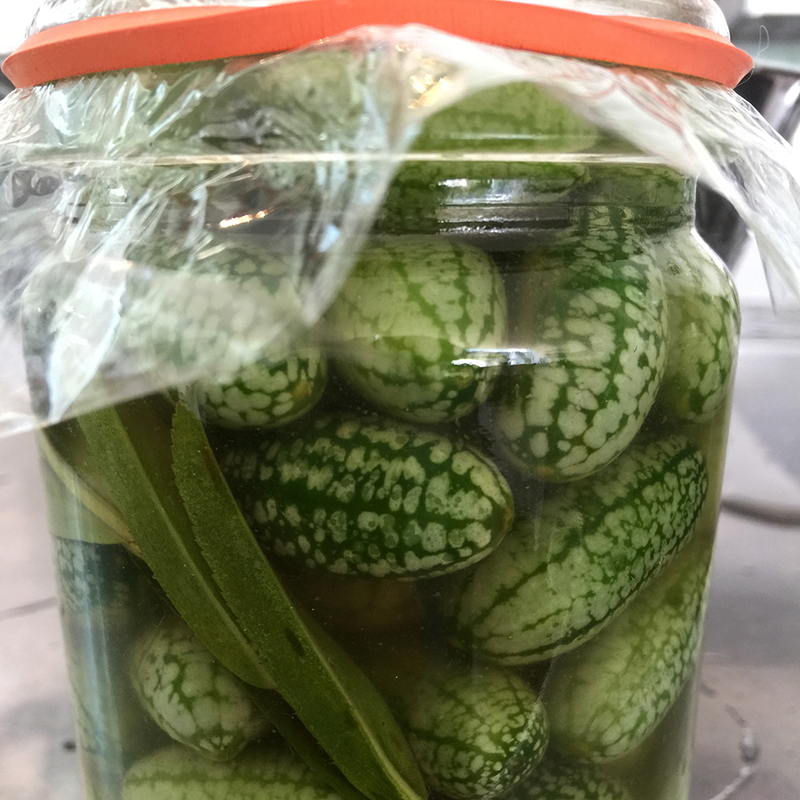 If you have a stack of them and you don’t know what to do with them – simply pickle them! They already have a bit of a pre-pickled slightly sour touch to them and work well preserved this way. This is a simple recipe using minimal ingredients that can be interchanged with others to taste. I’m using a Fowlers no.14 small jar here that holds about 350ml and a simple jam preserving type plastic top with a sealing rubber to hold it down tight. The recipe is basically a ratio of water to vinegar of about 1/3 water to 2/3 vinegar with some spice flavours added. In this case i’m using a plain Cornwell’s white vinegar (brewed from fermented spirits) to make up to about 450mls with the water added. 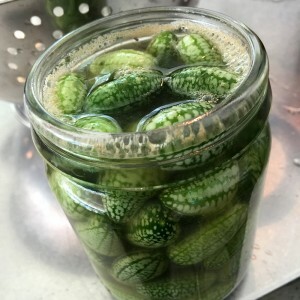 This will leave extra over which I’ll be using for another pickle – but you will likely always have some left over when the fruit goes in to the jar with the liquid so just use best guess for your jar size so the fruit is pretty well covered in the jar. 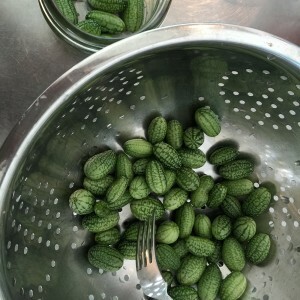 This can obviously be altered to taste with options like just dill and plain sugar or using brown or raw sugar. Honey may clash with some spices so experiment. Sterilise the jar using steam or whatever process you desire. 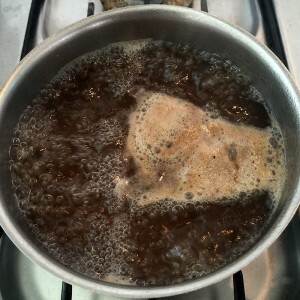 Put the vinegar and water with the spice and honey into a small pot and bring to the boil. Let it simmer for about 2 minutes and then turn it off. That honey and spice combo will likely make the mixture appear to go fairly dark but it will usually settle back to a fairly clear liquid once bottled. Clean the fruit off by quickly scraping the flower stub end with the side of a paring knife or similar and the washing them with water. 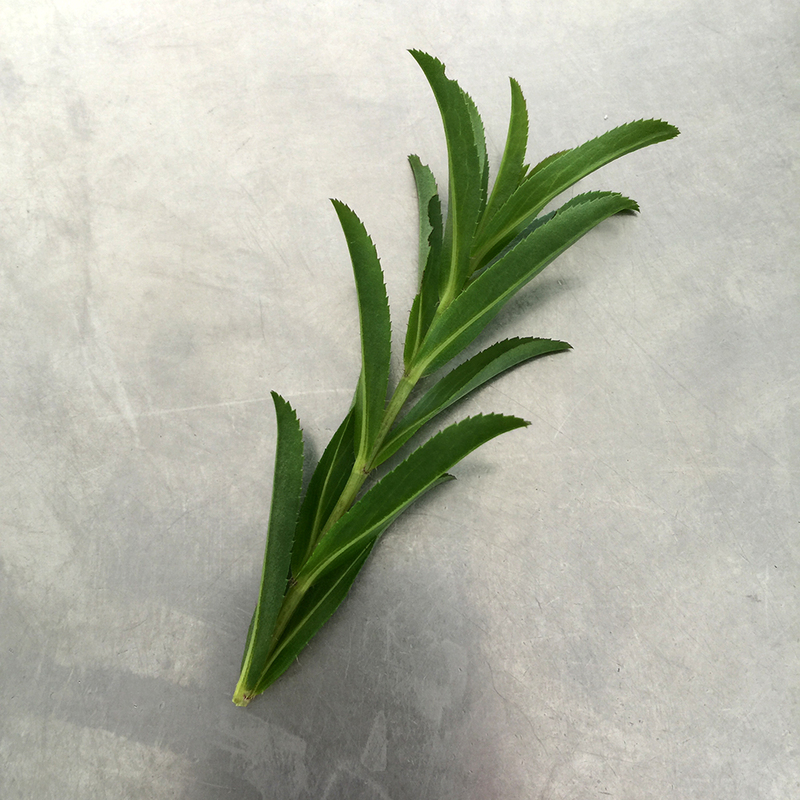 Place the fruit with the tarragon into the sterile jar till it approaches the top. It is best to do this with a small fork and as you go spike each one so that the pickling fluids penetrates better into the fruit. Pour the vinegar mix into the jar and seal it. Give it a bit of a light shake to get any air bubbles out. 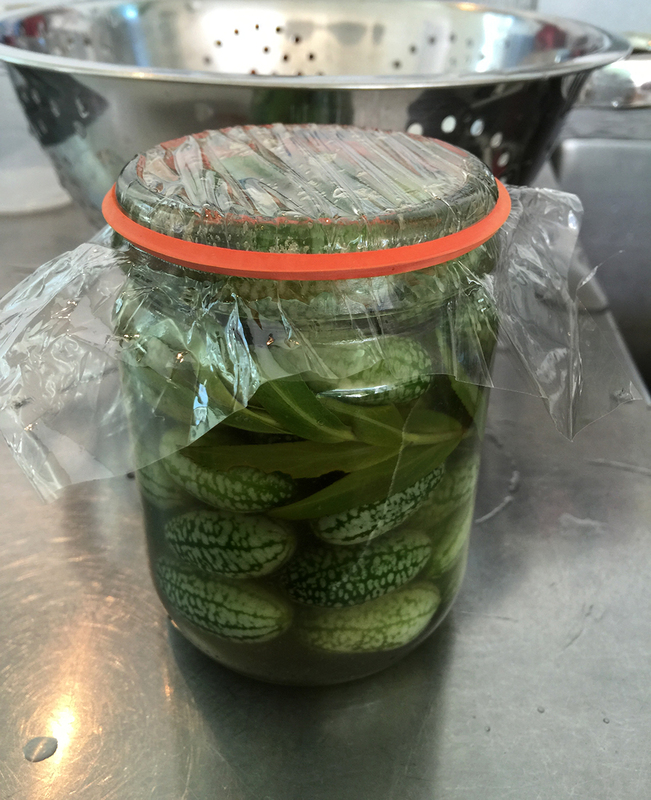 Put it in a dark spot at room temperature for about a week and turn every so often to remove air bubbles etc.